The Santa Fe de Bogotá Foundation was stablished more than 40 years ago and is one of the most important medical private institutions in Colombia and Latin America. For the launch of their Innovation Culture and its digital platform, which sought to encourage the institution staff with the innovation process, Galan Studio and Acerca Comunicaciones, our partnership in Colombia expert in the strategic communications; were called to create an internal communication campaign that supports this objective. 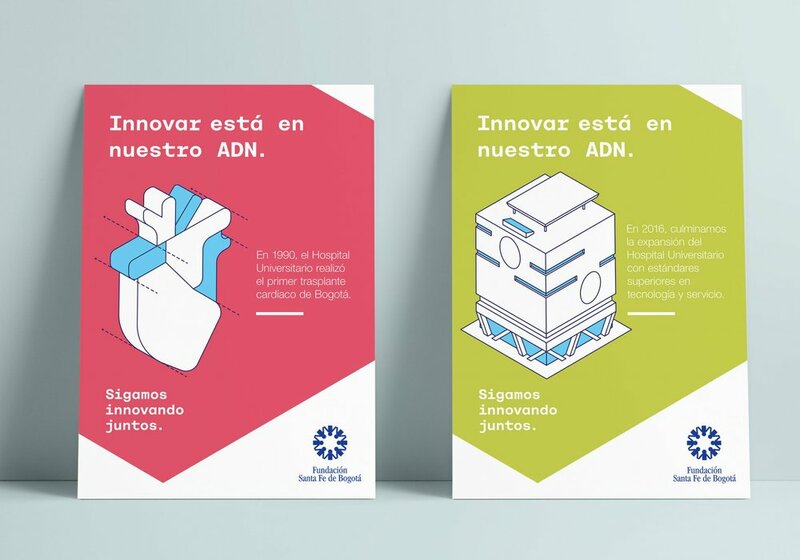 Together developed a full creative and communication plan under a solid concept called “ConIngenio”. 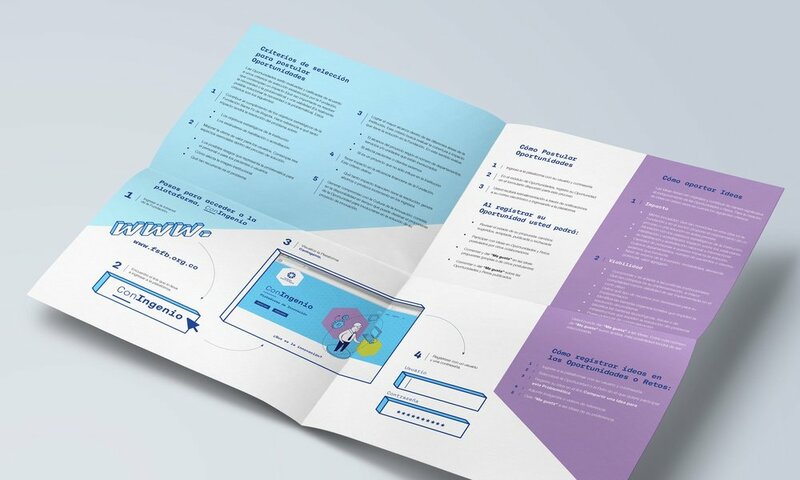 We structured the messaging with an appropriate tone and tactical actions that supported the three campaign phases: expectation, launch and maintenance. Also, Galan Studio designed specific graphic pieces having in mind that the main tool of the campaign was the digital platform. So that, we defined a clean design, a monospace typography, including icons and illustrations with a modern trace and a dynamic color palette. These elements brought a friendly and direct visual system to achieve the message the client wanted to communicate.